The Lost World: Jurassic Park and Jurassic Park III, as well as the highly anticipated Jurassic World, LEGO Jurassic World is the first videogame where players will be able to relive and experience all four Jurassic films. 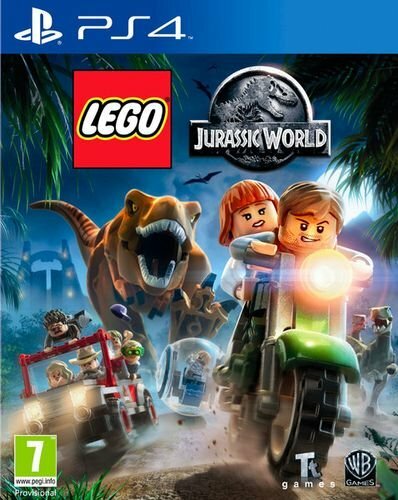 Reimagined in LEGO form and told in TT Games' signature classic LEGO humour, the thrilling adventure recreates unforgettable scenes and action sequences from the films, allowing fans to play through key moments and giving them the opportunity to fully explore the expansive grounds of Isla Nublar and Isla Sorna. Customise your own dinosaur collection: Collect LEGO amber and experiment with DNA to create completely original dinosaurs, like the Dilophosaurus Rex.